Kannada film superstar Sudeep and his wife Priya Radhakrishnan filed for divorce here on Friday, a family source said. They have mutually agreed to separate from their 14-year long marital relationship. According to a source close to Sudeep's family, his wife filed for divorce in a family court. "Sudeep has agreed to pay Rs.19 crore as compensation to Priya. He even consented for Priya to have the custody of their daughter," the source told. 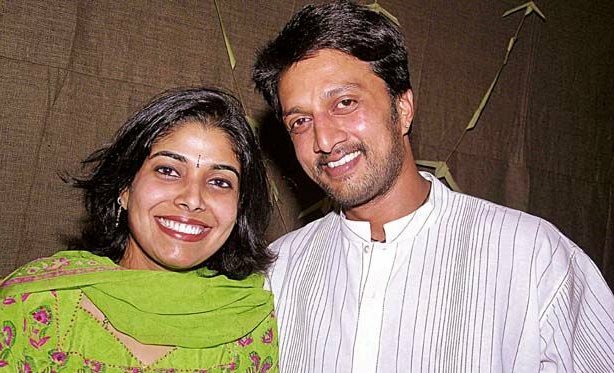 Sudeep married Priya, a native from Kerala, in 2001. The couple have an 11-year old daughter named Saanvi. The source said the couple has separated due to compatibility issues. Besides acting, Sudeep has also directed and produced films. He has also starred in a few Hindi, Tamil and Telugu films. As a director, he's known for hit films such as "Kempegowda", "Maanikya" and "My Autograph".